Britain’s National Health Service is rapidly destroying the UK Health Care system; dismantling local programs, stripping hospitals of essential service staff, downsizing hospitals altogether, refusing to upgrade old equipment – all under the guise of tightening the belt, preserving what’s left of diminishing resources. Meanwhile top executives of the NHS have recently received enormous salary bonuses & increases which stagger even conventional economic forecasting rationale. They are nothing short of a criminal syndicate run wild, bent on fleecing the public while ensuring the standards for health care plummet to never before seen depths. Is it not time for a full scale inquiry? Have we not been fooled enough? ‘Thousands of NHS jobs in England are being cut despite government promises to protect frontline services, a union says. The Royal College of Nursing has identified nearly 10,000 posts – double the number from two months ago. 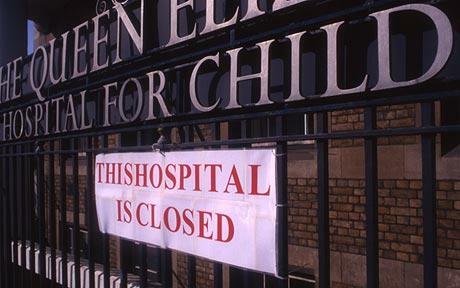 The RCN said this was just the start of what was shaping up to be a “crude” round of cuts which would harm patient care. But managers said some job losses were necessary. While the NHS budget is being protected, the health service has been told to save up to £20bn by 2014 to help it cope with increasing pressures from the ageing population, rising price of drugs and lifestyle changes such as obesity. David Nicholson, the British National Health Service Chief Executive earns between £255,000 & £259,999 (approximately $520,000) annually. 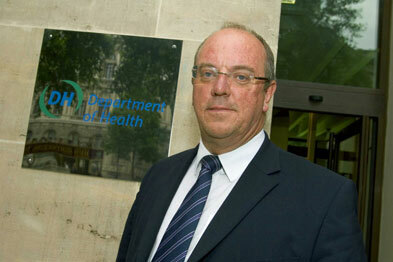 Gabriel Scally, NHS regional director of public health earns between £200,000 – £204,999. In total 11 DOP executives earn from £150,000 to £200,000. This despite a 21% cut in health services & the sudden firing of 100 hospital workers. Dr Peter Carter, the head of the Royal College of Nursing, said he was “incredibly worried” about the disclosures. He urged Andrew Lansley, the Health Secretary, to “get a grip” on the reality of what was going on in the NHS.